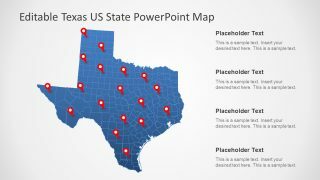 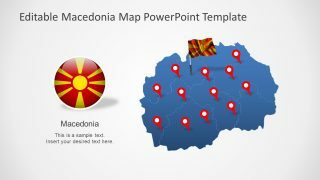 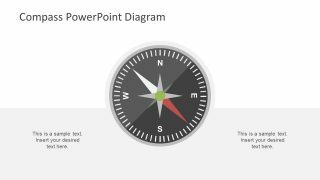 Europe Map for PowerPoint presentations is a presentation template with colorful maps of Europe which can be marked using the given GPS markers within each slide. 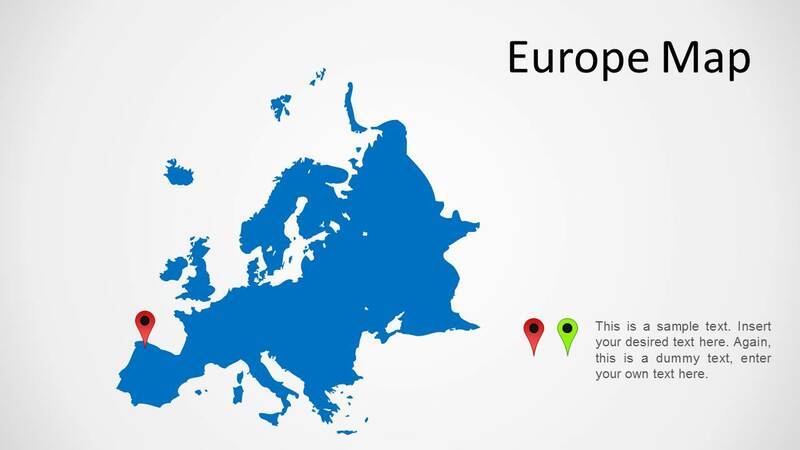 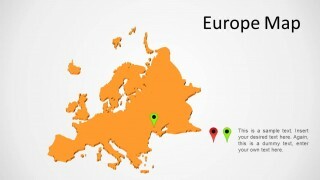 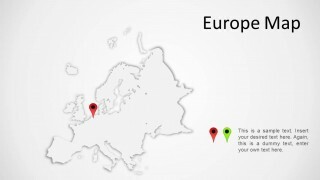 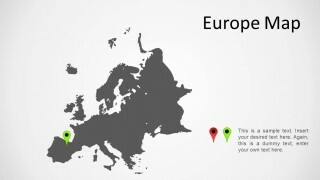 This is a simple Europe map template which can be used in presentations to highlight different areas of the continent and to create presentations where you might require displaying a basic map of Europe. 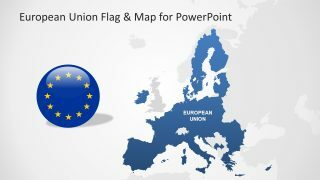 You can also download our Editable Europe Map Template for PowerPoint which comes with editable sub-maps of European countries that you can extract from the main map.